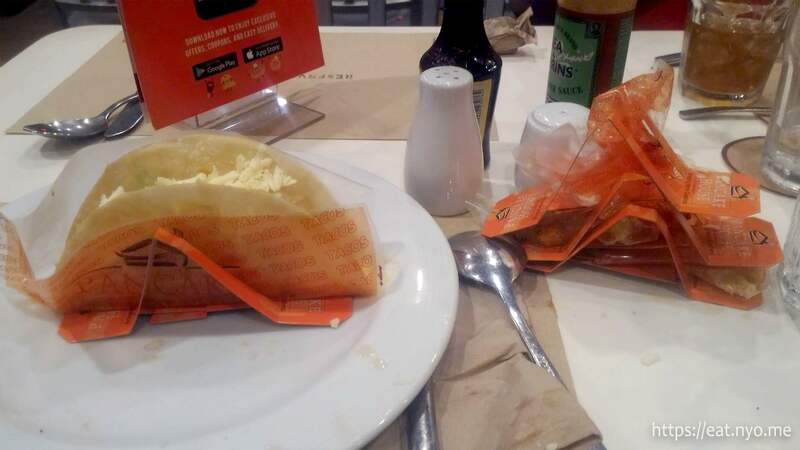 Me and Const partook of Pancake House’s Taco All You Can Wednesdays promotion last Wednesday. I’m actually skipping some reviews in the backlog because this promo is only for the month of June, 2018. Pancake House, for the uninformed, specializes in pancakes. Now that I mention it, we haven’t done a good review of the place. Beloved and myself, and sometimes with her family, go here to eat not their pancakes, but their other food like their pan-fried chicken, salisbury steak, and pastas. Their pancakes, ironically, is pretty low on our choice here, and we often go for their waffles instead. Oh, and their tacos are pretty good too, which is why Const and I went ahead and tried out this promotion. The promo is part of Max’s chain of restaurants offering various 349 Php promos of an unlimited offering of one of their favorite menu items of that particular restaurant. Some of their promos are reasonable, like Max’s offering their chicken and rice meal, Yellow Cab their pizza, Ebi Tempura from Teriyaki Boy, and beef belly strips from Sizzlin’ Steak. Others are ridiculous, specifically Jamba Juice’s banana berry smoothie and Krispy Kreme glazed doughnut and coffee. 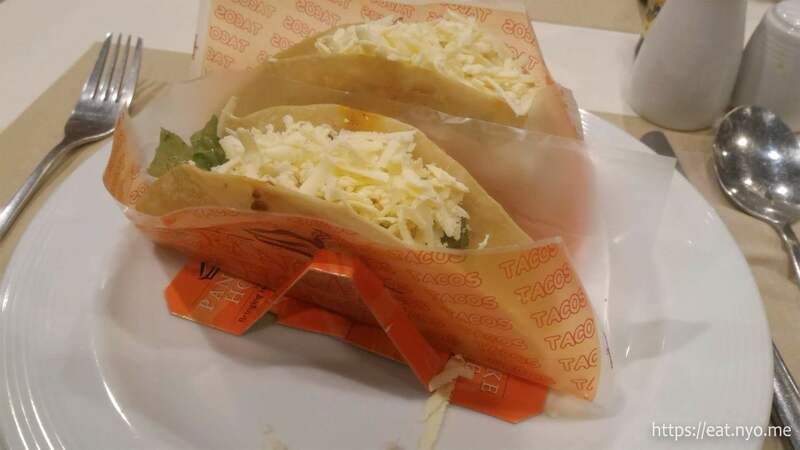 For Pancake House, it falls in the reasonable group, perhaps the most sane one, where they offer their self-proclaimed “Best Tacos In Town”, regularly priced at 120 Php. The promo includes unlimited tacos and iced tea, so eating 3 tacos already breaks you even. The rules are pretty simple: You have two hours to down as much tacos as you can. You are given two tacos and a glass of iced tea to start. You can only ask for an additional individual taco after you finish what you currently have in your plate. No sharing. Promo starts at 2 p.m. until the store’s closing time. Our first two tacos were placed in front of us and our two hours begin. Not that it mattered, we started 8 p.m. and the store closes at 10. They are pretty much their typical Best Tacos In Town, where there’s a generous amount of cheese, tomatoes, lettuce, and onions over some slightly sloppy ground beef mix in a hard taco shell. These two were easy downs, and not too long later we asked for our individual refill. Three tacos turned to four, still relatively easy to down. We already broke even at this point. Adding some hot tabasco sauce makes it a bit easier. Our fifth and sixth tacos was where the palate fatigue started, and it seemed the “best tacos” were starting to worsen. The meat started to become sloppier and the dish became more acidic overall for me. Our total kill count was eight tacos apiece. I felt like I could’ve gone for a couple more after something like ice cream or yogurt. But I thought that was too expensive for that particular night. I tried out the Knorr seasoning (MSG) on the table, but it just made it salty/savory and worsened the cloy. 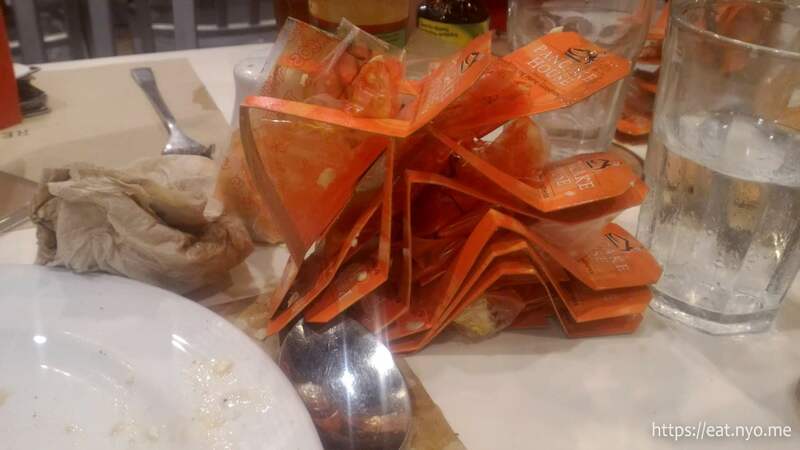 Still, I think the experience was quite worth it when compared to other all-you-can-eat promos we’ve had, especially nowadays where it’s hard to come by a sub-400 Php all-you-can-eat promo. Sure, there’s no variety here, but tacos are essentially a complete meal with protein, veggies, and carbs. This is also coming from someone who doesn’t really like tacos too much—I’d rather have a burrito or a soft-shelled tacos, the hard shell doesn’t really do it for me. I’d probably not try this again, but for those who want to, you still have a couple more weeks to try out the Taco-All-You-Can-Wednesday at Pancake House. Location: No. 2., West 4th, Quezon Ave. Recommended for: Hungry taco lovers. Not recommended for: Glutted taco haters. Smart nomnomnom tip: Make use of the sauces to alleviate palate fatigue.